I need tooling. Where do I start? It depends. The rotary-draw method of tube-bending is characterized by the use of a mandrel, because it is a process that fixes the line of tangency in space and therefore makes it practical to fixture a mandrel there to control the flow of material at the point of bend. (See the Bend Tooling Encyclopedia for more detail.) However, not all tube-bending jobs need a mandrel. One is required only when the tubing material lacks the strength to support itself at the point of bend. That is why thick-walled tubes bent on large radiuses generally do not need a mandrel. The factors that determine whether a tube is strong enough to be bent without a mandrel are tube diameter, wall thickness, centerline radius, degree of bend, and tubing material. With this information we can accurately determine whether or not you need a mandrel for your job and if so, how many balls the mandrel must have. There are also a couple of rules of thumb you can use to get a quick take on whether a mandrel is likely. The first is to calculate the wall factor. Divide the tube diameter by the wall thickness. If the result is 15 or more, a mandrel will probably be needed. The second is to calculate the “D” of bend. Divide the centerline radius by the tube diameter. If the result is 1.5 or less, a mandrel is almost always needed. It should also be noted that some tube-benders will dispense with a mandrel if bend quality is not an important consideration. In those cases, heart-shaped dies are often used to flatten the tube in the plane of bend to give it additional resistance to the wrinkling on the inside radius and the flattening on the outside radius that would normally occur without a mandrel. However, compromises in quality, process control, and production rates have greatly limited this substitute for mandrel bending in recent years. The same factors that determine the need for a mandrel also apply to the wiper: Tube diameter, wall thickness, centerline radius, degree of bend, and tubing material. However, there is a marginal range of bends that require a mandrel but not a wiper. Generally speaking if the wall factor is 20 or more and if the “D” of bend is 3 or less, a wiper will be needed. Who specifies the tools I need: Bend Tooling or me? If you supply us with your tube and bend specifications, we will completely spec out your tooling for you. 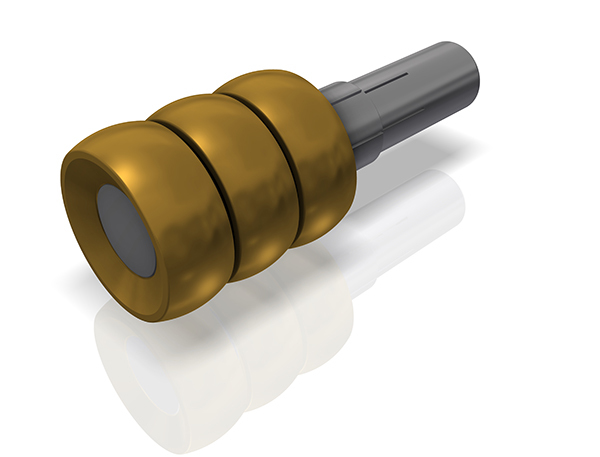 However, if you want a particular tooling specification, we can usually accommodate that at no additional charge. Does Bend Tooling use name-brand or "generic" aluminum-bronze for its mandrels and wipers? We purchase only the highest quality aluminum-bronze and nickel-aluminum-bronze certified by the mill. Certification ensures that the material we buy has the proper chemical composition. Therefore, whether certified material is a name-brand or a generic has no bearing on its quality. Actually the most significant quality problem in aluminum-bronze is not the precise chemical composition. It is porosity — i.e., air pockets as large as a quarter-inch (6 mm) or more hidden inside the raw material. The problem of porosity is endemic to the manufacturing process for certain types of aluminum-bronze when production of the material is rushed through the mill to reduce costs. Our thirty years of experience has helped us to find mills whose production methods keep porosity to a minimum. That means we manufacture your tools with high-integrity certified aluminum-bronze that allows us to use high-speed machining (which saves you money) and to make a more precise product, especially the feathered edges of our wiper products (which improves your bend quality). I know exactly what I need in tooling. In that case isn't my in-house tool room or local job shop a better bargain than Bend Tooling? Usually the primary consideration in using an in-house tool room or local job shop rather than a specialty supplier such as Bend Tooling is cost. However, that cost savings can be more apparent than real. First of all, if you require high enough quantities of a particular rotary-draw bending tool that makes in-house or job shop production practical, you should have us quote that tool. 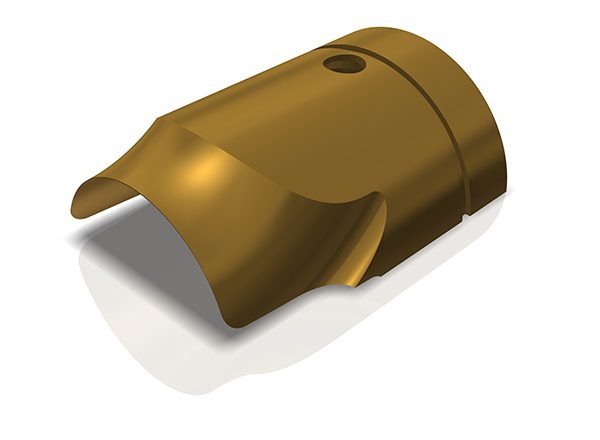 You will probably find that Bend Tooling is actually less expensive part for part, period. If not, we’ll be close. Second, these tools are our bread and butter. We know how to make them, and we make them more precisely than any of our competitors, let alone a tool room or a job shop making them on the side. This is not to denigrate the quality of such operations, but to emphasize the importance of a consistently achieved level of precision not previously associated with tube-bending tools, especially inserted mandrels and wipers. This precision improves tool life, repeatability, and process control, all of which reduce the number of units of tooling you will need from us compared to another supplier to complete the same job. Therefore, you should consider overall tooling costs, not just unit cost, when comparing an inexperienced source with us. Furthermore, our Datafacturingï¿½ factory automation embeds all of this accumulated design and machining knowledge into every manufacturing process needed to make bending die, mandrel, and wiper products. That gives our plant a productivity advantage in this arena that a general purpose tool room or job shop can’t match. Finally, you get our support and service. We don’t make anything else but rotary-draw tube-bending tools. Your tooling needs don’t have to compete for time with other projects the tool room is busy with. Your tools from Bend Tooling will be there when you need them. I'm a machine-builder. Does Bend Tooling manufacture OEM tooling? Yes. In addition to supplying end users, we also manufacture original tool sets for builders of rotary-draw tube-bending machines. Furthermore, we only make tooling. Unlike a number of our competitors, we don’t build tube-bending and other sorts of tube-forming machines. Therefore, we are not in competition with our machine-builder customers. I need information about tube bending. Where do I go? For a good start we recommend our Technical Pages. You will find there a unique resource in our industry, the Bend Tooling Encyclopedia, the most comprehensive glossary of terminology available for tube bending – by far. You will also find sets of formulas for tube bending, tube bending tools, and manufacturing in general. You can also phone or e-mail us with your engineering and troubleshooting inquiries. I do high-quality tube-bending. Don't I need traditional solid-body mandrels and wipers? Inserted mandrels and wipers perform as well as traditional solid-body tools in almost all rotary-draw tube-bending applications except those requiring high direct pressure and zero-rake of the wiper. In those applications genuinely requiring high direct pressure (as opposed to those set-ups in which a high direct pressure setting is compensating for misplacement of the mandrel nose), complete containment of the tubing material at the point of bend is a must. Therefore, the mandrel and wiper surfaces cannot have any breaks, such as that inherent in the design of inserted mandrels and wipers. Only the continuous surfaces and sheer mass of solid-body mandrels and wipers provide the critical support at the point of bend to ensure the undisrupted flow of material as it is plasticized under high pressure. For this reason we presently recommend purchasing our line of solid-body tools for high pressure applications. For the other 95% of tube-bending jobs out there, our line of inserted mandrels and wipers are top-notch performers. I use split style links for my mandrels. 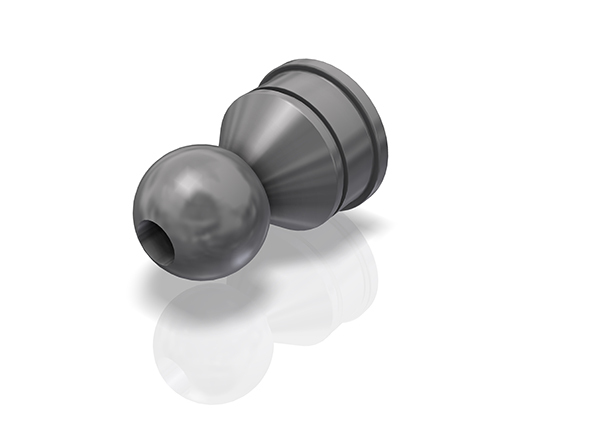 What are the advantages of Bend Tooling's poppet style links? 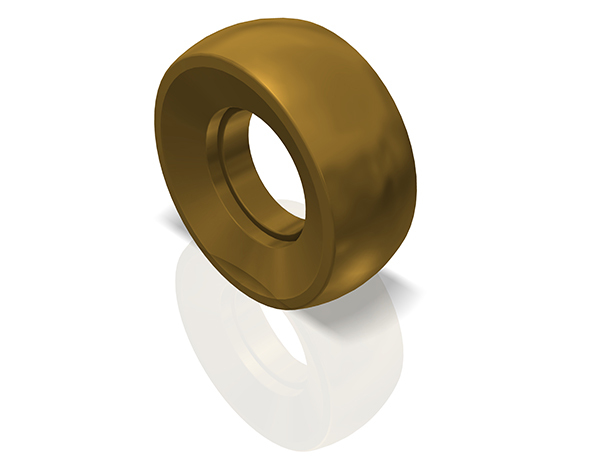 We have manufactured the single-piece poppet link for thirty years. It has been thoroughly field-tested under the toughest production conditions. There is no question as to its superiority: The biggest advantage is that poppet links last longer than split links. The simple reason for that is the neck of a poppet link is machined from a single piece of steel, thus preserving its strength and integrity, whereas the neck of a split link — as its name suggests — is divided down the middle into two pieces. So by design the split link is weaker. Competitors who sell the split link try to offset this inherent weakness by making the links out of tool steel. However, a split link of hardened tool steel is brittle, and still not as tough as an alloy steel poppet link. The integrity of a split link is further compromised, because both sides of its head are hollowed out by a keyway to accommodate a third component: The key that keeps the two halves of the split link aligned. 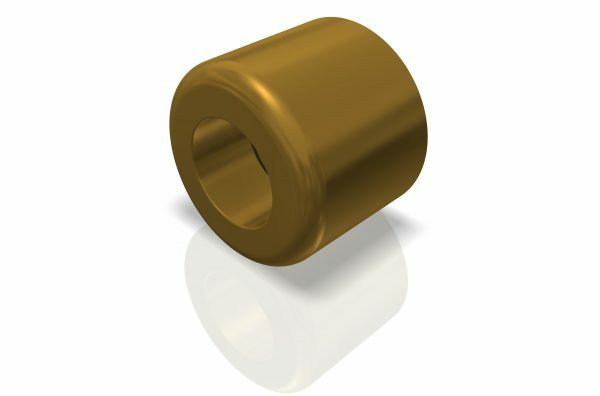 In addition to creating more thin cross-sections susceptible to failure, the need for a key adds another small part to inventory to already small mandrel component. Furthermore, because the head of the link is keyed, the size of the detent system (which brings the mandrel balls back into rigid alignment when retracted from the bend) is severely limited. 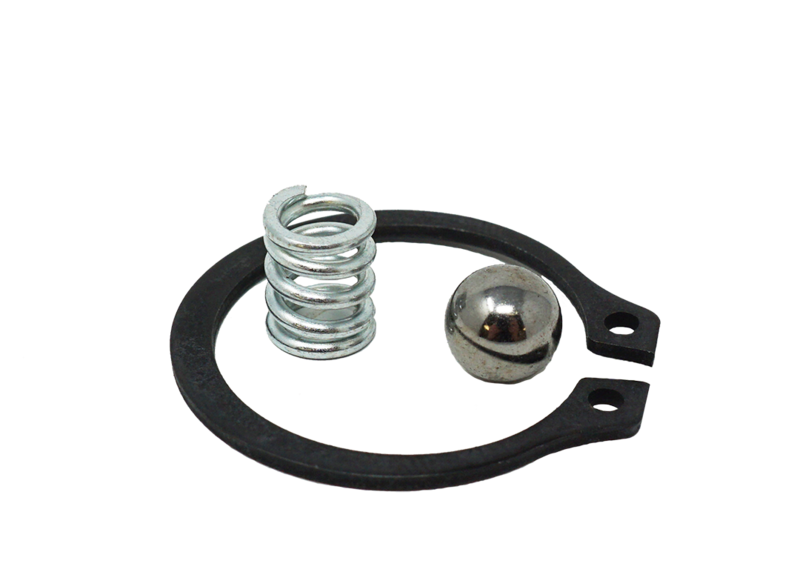 This is not the case for the single-piece poppet link, which can accommodate a heavier and more durable detent system that improves the performance of the link. Finally, there is the issue of cost. 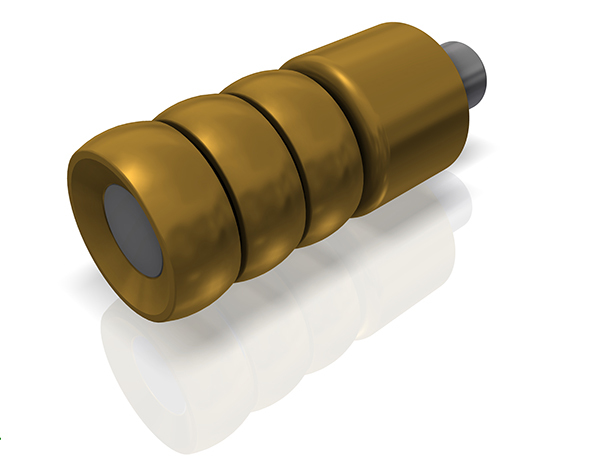 A poppet link is quicker and less costly to manufacture because of its deceptively simple design. So you get the best of both worlds: A less expensive link that lasts longer. What do I need to know about the feathered edge of a wiper die? Three things:  The material of the wiper,  the geometry of the feathered edge, and  whether or not the feathered edge is completely machined or partly finished by hand. This last consideration is often overlooked, but a completely machined feathered edge is critical for optimal performance of the wiper die. Always insist upon a fully machined feathered edge for all your wiper tooling, especially wiper tip inserts. For the same reason you wouldn’t want a glass hammer. Bending dies need to be tough, not necessarily rock hard. In fact, to the extent that increased hardness increases the brittleness of a die, its life is reduced as it succumbs to breakage as opposed to wear. Keep in mind that in the rotary-draw bending process, you are wrapping a soft thin-walled material around a large solid mass of steel — i.e., the bend die. A bend die with an unhardened core is not going to give because a tube with a wall measuring only in the hundredths of an inch (a millimeter or less) is not exerting a significant compressive force upon it. All that results by over-hardening a die, especially one made of tool steel, is to make it more susceptible to breakage. Case-hardening, such as nitriding or carburizing, is a good alternative. 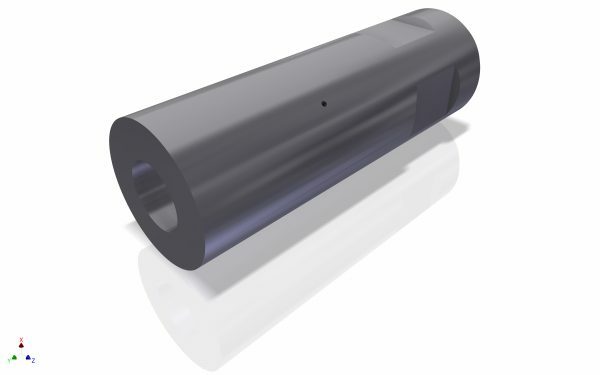 A high-quality case-hardened die provides you with a very hard surface over an alloy steel surface. This type of die is tougher. 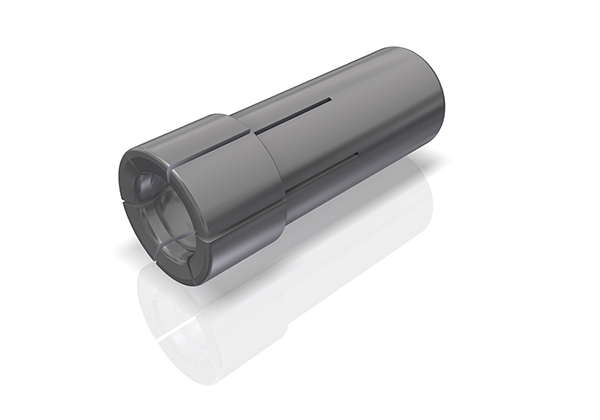 It’s more forgiving of the sharp blows and impacts to rotary-draw tube-bending while providing a long-lasting working surface — and usually at significantly less cost compared to a harder but more fragile through-hardened tool steel die. That said, there do remain occasions in which through-hardening is necessary for die. Most often if the die has a thin cross-section that makes case-hardening, especially carburization, impractical. Even then, you should consider a high-quality alloy steel instead of tool steel to improve the toughness of such a die. Each rotary-draw tooling set-up is unique. So isn't experience a better guide than the 4-Step Set-up procedure? It’s not an either-or situation. Experience is valuable. Although tube-bending is not a black art, there remain many factors that are not fully defined. Experience helps to fill the gap. The 4-Step Set-Up procedure that we detail in our free download works hand in glove with experience by establishing a systematic means for a machine operator of identifying values for set-up parameters and gauging which changes in those parameters produce different results – in particular, those bend specifications that are out of tolerance. Thus, inputs can be objectively related to outputs and the foundation for process control in tube-bending is laid. In this way experience is leveraged by translating it into a set of values that inexperienced machine operators keep adjusting each element of the 4-Step Set-Up towards to maintain bend quality in all but the most difficult tube-bending jobs. The key to the mandrel set-up is its nose. It needs to have the right diameter and nose radius, and it needs to be positioned properly relative to the line of tangency. We recommend this formula for sizing the diameter of the nose for most applications: TOD – (WT x 2.21). (Laminated and extremely thick-walled tubing require deviations from this formula.) As for the nose radius, we will generally recommend a sharp one for thin-walled or high-pressure applications and a more generous one for most other jobs. Finally, the best results in both terms of bend quality and tool life are achieved by aggressive use of the mandrel nose. This means placing it into the bend past the line of tangency. In this way the body of the nose controls the flow of the tubing material as it becomes plasticized at the point of bend. How do I set up my wiper die? The key to the wiper set-up is its rake. Rake is the angle at which the cavity of the wiper is offset from the inside line of the tube. Normally the rake should be zero for high-pressure bending jobs, and you should ask that your wiper die be cut with an offset-geometry feathered edge (or “aero-cut”). Otherwise, raking the wiper die is advisable to extend its life. Therefore, if you are going to rake your wiper, ask that it be cut with a simple-sweep feathered edge (or “standard cut”). How do I troubleshoot a tube-bending problem? First check out our on-line troubleshooting guide. If you need further help, send us an email (info@bendtooling.com) with all of the relevant information about your problem. Usually that will include your tube specifications, your bend specifications, the make and model of your machine, and brief description of the problem you are experiencing. Otherwise, you can always phone us a 1-800-284-8823 (toll-free in the U.S. & Canada) or 616-454-9965 (worldwide). How do I request price and delivery for Bend Tooling products? Please complete our online quote request form with information about your requirements. For further assistance, contact Steve Parrow by e-mail or by phone (toll-free from the U.S. or Canada 1-800-284-8823 or worldwide 616-454-9965). We usually respond to online quote requests in 24-48 hours. How do I apply for credit with Bend Tooling? Our standard credit terms are C.O.D., wire, or credit card. We are only able to extend credit to our existing customers at this time. Thank you for understanding. How do I place an order for Bend products? 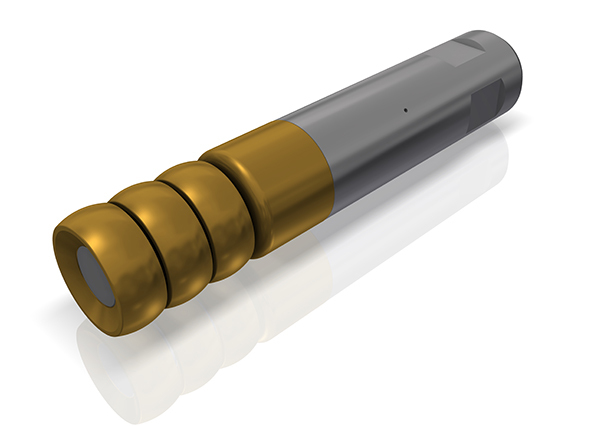 If we have given you a quotation for the tooling you want to order, we likely have all of the information we need. If not, we usually need the same information required to respond to a request for quotation. Also, if you are ordering a die set for a rotary-draw bending machine that we have not previously tooled, we will need to confirm the mounting specifications for the dies. To that end, we will send you a set of verification drawings that you can easily review and either confirm or alter the mounting specs. Finally, once we have entered your order into our system, we will send to you a sales order confirmation identifying the quantity and part number of each product you have ordered, along with notification of the terms and any special considerations we are aware of. If you need to change information or supply us with any addition information, we can usually accommodate you at this point if we receive an immediate response to the sales order confirmation. Can I pay for my order with a credit card, debit card, or corporate credit card? Yes. We accept MasterCard, Visa, American Express, and Discover. We encourage our customers to pay for orders with these cards and do not apply any surcharges or fees for their use. We ship out 96% of the orders we receive by the date promised in the sales order confirmation we send to you after entering your order. Therefore, it usually won’t be necessary to contact us about order status. However, if you need this information, please contact either Amanda Metzner or Steve Parrow by e-mail or by phone (toll-free from the U.S. or Canada 1-800-284-8823 or worldwide 616-454-9965). Whom do I talk to if I have a problem? Phone or e-mail Steve Parrow, or Amanda Metzner about any problem. We’ll do our best to troubleshoot and help resolve any issue you may have. How long has Bend Tooling been in business? Since 1986, thirty years under the same management. It is a technology developed by the Bend Tooling management team to automate the manufacture of ETO (engineer-to-order) products, such as tooling for rotary-draw tube-bending. 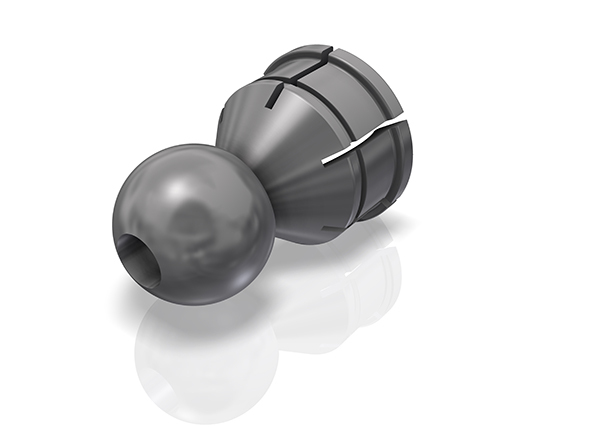 This technology helps us provide you with better tooling at lower cost and faster delivery. Does Bend Tooling Manufacture the products it sells? Yes. 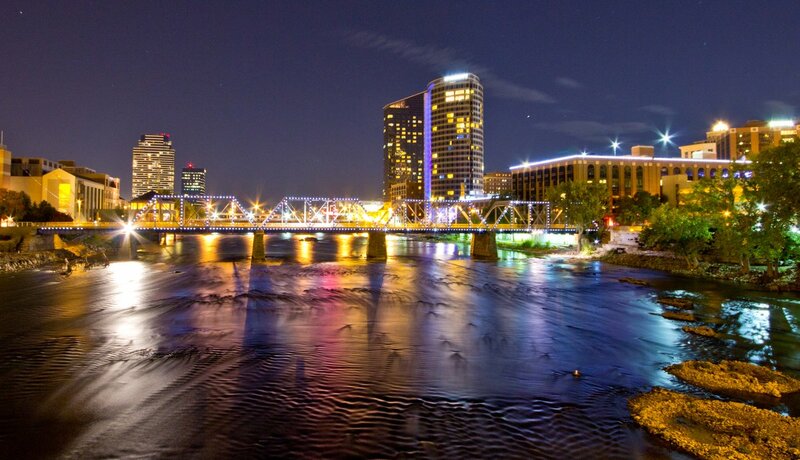 All of our rotary-draw tube-bending products are manufactured at our plant in Grand Rapids, Michigan. Does Bend Tooling do any tube-bending? No. Although some of our competitors have tube-bending operations, we don’t. That would put us in competition with our customers.